Ambient DJ Service is proud to be a donor to the "Ryan's Quest" fundraiser being held this February 12, 2011 at John Henry's Stone Terrace in Hamilton, NJ. Ryan is a local boy who was diagnosed with Duchenne Muscular Dystrophy (DMD), a rare disease that strikes 1 out of every 3,500 males, typically between the ages of 3 and 7. Tragically, there is a 100% fatality rate for DMD and no known cure. Scientific researchers are making great strides, but time is running out for Ryan and the other boys afflicted with Duchennes. The proceeds from the Valentine's Ball will be donated to researchers working on a cure and treatments for DMD. Tickets for the dance itself are sold out, with over 400 attendees expected. It is amazing to see the local support for this cause, even in the midst of tight economic times. At this juncture, how can you help? 1) Businesses - can still purchase ads for the books being distributed to the guests at the Valentine's Ball. A quarter page ad costs only $100 and will be viewed by the hundreds of guests in attendance. The book is going to printing on Friday, so there is no time to delay! Please visit www.ryansquest.org for more information. 2) Individuals - you can make a direct cash donation to Ryan's Quest. Visit www.ryansquest.org for more information. The video below describes what Ryan's Quest is all about. Warning - it is very moving. 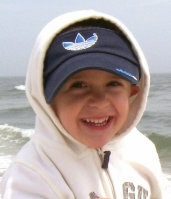 Please bookmark the ryansquest.org website and tell a friend!